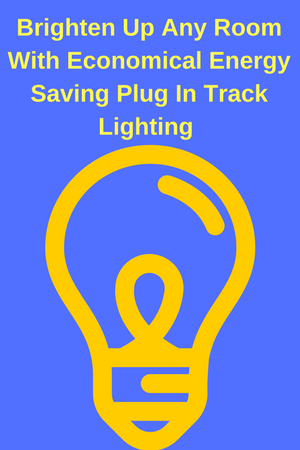 During a recent trip to the local home store I saw a display for plug in track lighting. Some areas of my home are rather dark especially during the winter months so I asked the salesman if this type of lighting might help solve the problem. He explained that the lighting plugs into any nearby electrical outlet and works in a similar manner to a lamp, only in this case, you can put the track lighting against the wall. As I mentioned given how little lighting I have in some areas of my home, I thought it would be a good idea to purchase the lighting. I bought two lighting kits, one for my bedroom, and one for my office. I placed the lighting in my bedroom right over my bed, and it works well, especially for when I want to read a book in bed. The lighting that I placed in my office makes working easier. So many times I’ve been working in the office and have been annoyed by how bad the lighting is in there. I’ve tried desk lamps, but they take up so much space on my desk, and often they will get so hot that I accidentally burn myself when I brush against them.